Former governor of Sokoto State, Alhaji Attahiru Bafarawa, on Sunday visited former President Olusegun Obasanjo to seek his (Obasanjo) blessings over his presidential ambition in 2019. Bafarawa, who led a delegation of his campaign group to Obasanjo in Abeokuta, told the elder statesman that the visit was to seek his “prayers, advice and support”. Bafarawa described Obasanjo as his leader and mentor, attributing his success as Sokoto State governor between 1999 and 2007 to advices from the former president. He explained that based on Obasanjo’s advice on savings, he left about N11.8 billion in Sokoto State treasury when he left office in 2007. The former governor recalled that Obasanjo visited Sokoto State 14 times to commission various projects, adding that he also replicated an all-inclusive government ran by the former president at the Federal level. 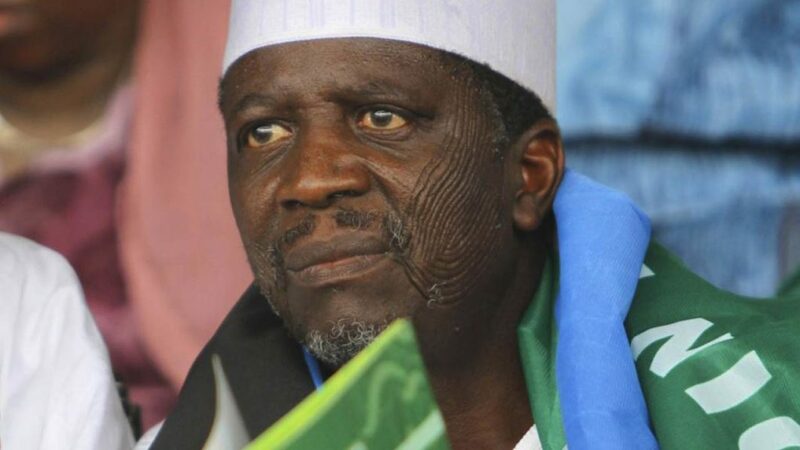 Bafarawa hailed Obasanjo for his continued interventions at critical stages of the nation’s history, noting that many Nigerians had misunderstood the intentions of the elder statesman. He specifically commended the former president for laying the foundation for the crusade against corruption, saying that nobody can successfully lay claim to fighting corruption without recourse to what Obasanjo had done. Responding, Obasanjo noted that “Nigeria can be better than what it is now” and pledged his support for any step to lift it up. “My own strong belief is that Nigeria deserves better than we have now and we can get better than what we have. “I believe the task of moving Nigeria to an enviable height is a collective responsibility and if we fail to act together as we ought to, the nation will not be where it is supposed to be in 2019,” he said. The former president recalled his role during Nigeria’s civil war between 1966 and 1970 as well as his travail in prison. “I have made sacrifices for Nigeria and will continue to do so,” he said. The elder statesman called for more attention to the welfare of the less-privileged Nigerians and increased educational development, particularly, in the North-East geographical location of the nation to end insurgency. He called for new strategies to fix Nigeria, adding that: “we have continued to tread on the old path”. Obasanjo advised Bafarawa to strengthen the leadership qualities he identified in him (Bafarawa), including humility, diligence, selflessness and openness. The former president also prayed for God’s guidance and support for Bafarawa’s presidential ambition.